In basements of buildings they’d armored and bunkered. So Christians stay hidden, and safe out of sight. The godless might hear it! Consider the danger! With that vile “Season’s Greetings!” invading the ears! Those words are no less than a form of assault! We made non-Christian greetings a federal crime! And there wasn’t an atheist heathen in sight! But now, such delights are a thing of the past. With the danger that some may be caught unawares! They’re locked and they’re loaded, the whole Christmas season! We’re all unbelievers, and so it’s ok! Your Atheist Christmas Carol is simply superb, declaring for all the real meaning of Christmas. Santa isn't dead, he's only hanging out with the elves and Mrs Claus until the world wises up. 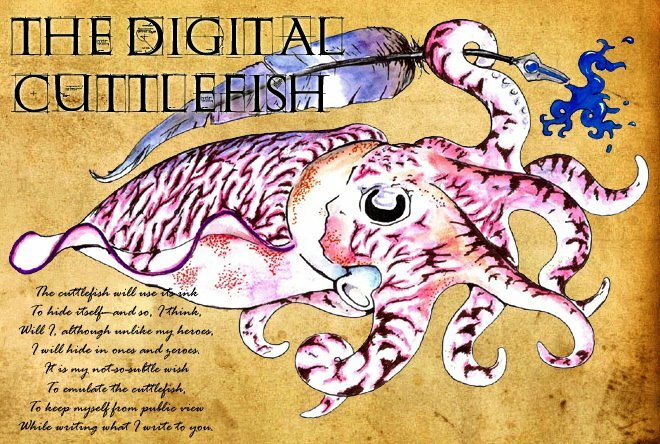 Cuttlefish, this is very nicely done. I see your posts at Pharyngula from time to time. I'll have to check here more often. Very nice! This has become my (attributed) response to all of the cloying and annoying Night Before Christmas revisions that seem to be flooding my inbox. Thank you! Carnival of Evolution #29 is up!